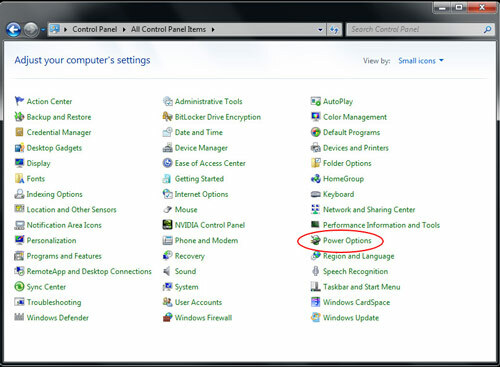 …And then select 'Power Options'. 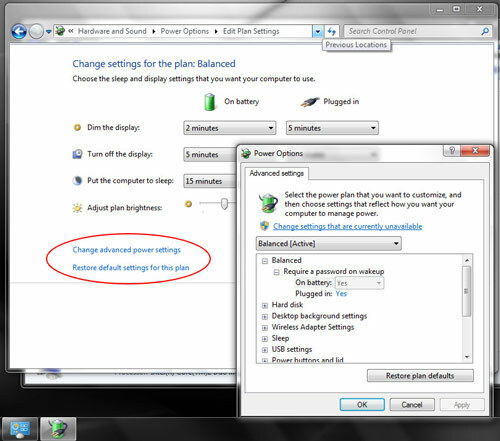 If using a standard view, select ‘Power Options‘. …and setting the amount of time before ‘turn off display‘ and ‘put the computer to sleep‘ actions are initiated. 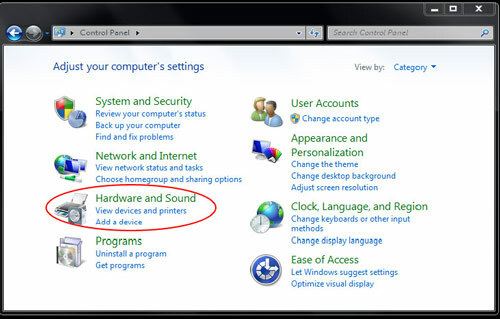 These can be set for when the computer is plugged in and when it is on battery (if you have a laptop). 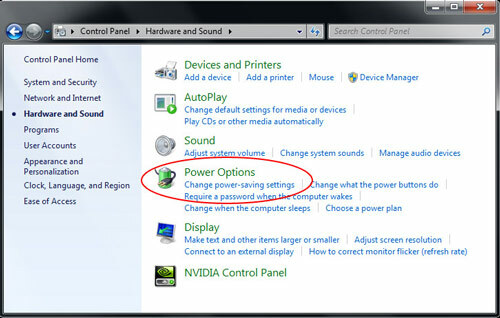 To change more settings click on “Change advanced power settings”. 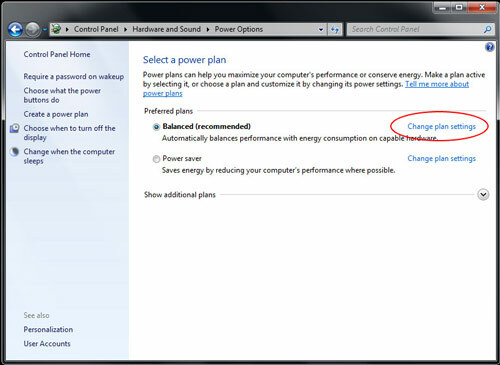 Here you will be able to enable or set values for a variety of Power Management options. EPA recommends setting computers to enter sleep after 15 to 60 minutes of inactivity. 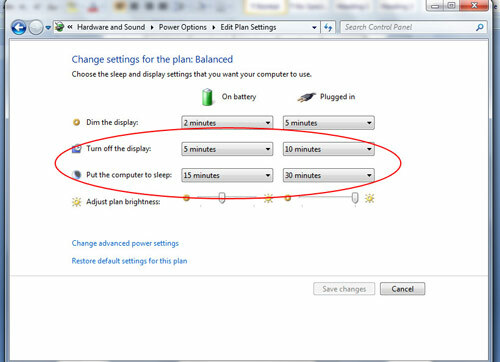 To save even more, set monitors to enter sleep mode after 5 to 20 minutes of inactivity. The lower the setting, the more energy you save.